Alexander Graham Bell once said, “I have travelled around the globe. I have seen the Canadian and American Rockies, the Andes, the Alps and the Highlands of Scotland, but for simple beauty, Cape Breton outrivals them all.” Let us take you there…. Following breakfast, we’ll head for Cape Breton. Our first stop will be in Truro so we can learn about our 'First Nation's Peoples’, the Mi'Kmaq. We’ll travel across the Canso Causeway - a 1,385 m rock-filled roadway crossing the Strait of Canso, with two vehicle lanes of traffic and a single railway track. It is the deepest causeway in the world, with a depth of 213 feet. The word "Canso" is believed to be derived from the Mi'kmaq word kamsok, which means "opposite the lofty cliffs". We'll stop at the Cove Motel Restaurant for a great lunch and super views of the Causeway. Ceilidh Trail: We'll follow the Ceilidh (pronounced kay-lee, a Gaelic word meaning party or gathering) Trail along the shoreline of the Gulf of St Lawrence. The roadway clings to a rugged shoreline (Saint George’s Bay of the Gulf of Saint Lawrence, “Canada’s in-land sea”) and skirts along the thickly-wooded, mountainous and rough terrain of central Cape Breton Island (Creignish, Big Ridge Mountains and Mabou Highlands). The scenery here is spectacular. We'll be passing places such as Port Hood, Mabou, Glenville, Dunvegan, St. Rose, Chimney Corner and Margaree Harbour, with breathtaking scenery and stunning seascapes found around every turn in the road. 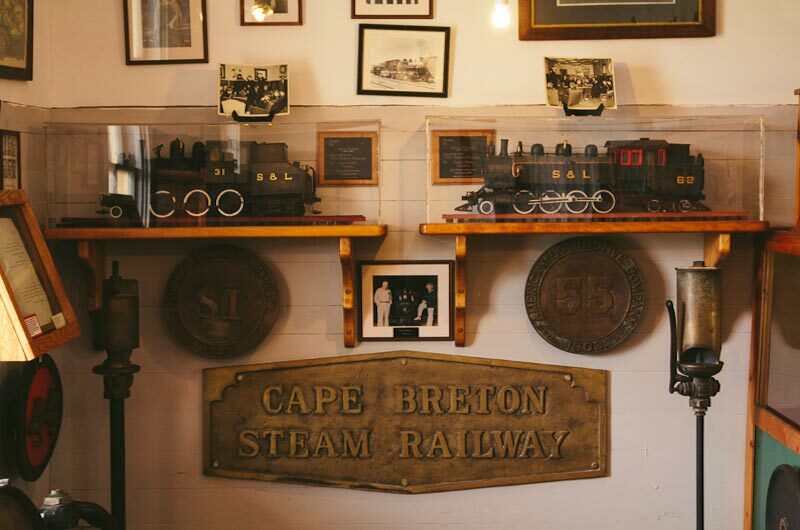 Just north of Mabou is the Town of Glenville where you’ll find a true gem of Cape Breton, the Glen Breton Distillery. Renowned for its rare Canadian Single Malt Whisky, the only single malt whisky made in Canada, produced by using traditional copper pot stills method and only three ingredients: barley, yeast and water. (It cannot be called ‘Scotch’ unless it is produced in Scotland, hence the name, Canadian Single Malt Whisky). Glen Breton offers a guided tour of their operation, a fine restaurant, walking trails and even provides over-night accommodations. However, we will be spending the night in Baddeck on the shores of the storied Bras d' Or Lakes. Today, we’ll spend most of the day traveling the world famous Cabot Trail. The Cabot Trail is one of the best road trips in the world and winds through stunning landscapes, along the Margaree River and through the spectacular rugged highlands of the Cape Breton Highlands National Park. The trail was named after Italian explorer John Cabot (Giovanni Caboto) who reached our shores in 1497, sailing on a mission for King Henry VII of England. The name also celebrates the meeting of Cabot and the Mi'kmaq people, the original inhabitants of Cape Breton Island. 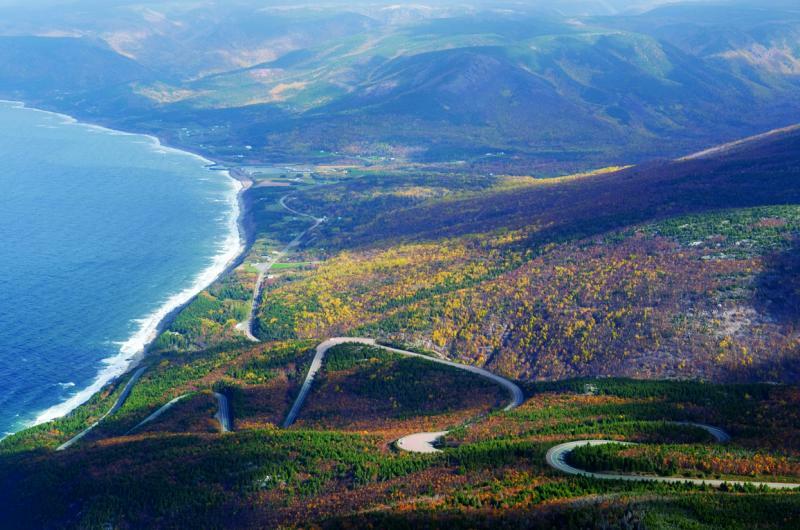 The Cabot Trail, completed in 1932, joined previously isolated fishing villages along approximately, a 300 km loop. Today, the Cabot Trail connects eight major communities with intriguing histories, including Acadian, Irish and Scottish settlements. Following our road trip, we’ll visit the Alexander Graham Bell Museum. This national historic site communicates the story of Alexander Graham Bell's wide ranging interests and inventive work, much of it undertaken in Baddeck. The site boasts about 10 hectares overlooking Baddeck Bay, on Bras d'Or Lake, and Beinn Bhreagh, Bell's summer home, where Bell pursued much of his scientific work. The museum commemorates and interprets the work of Alexander Graham Bell and his associates and also functions as a centre for the study of Bell's scientific and humanitarian work, as illustrated by the artifacts and documents preserved there. We’ll spend the evening in Baddeck. Following a leisurely breakfast, we’ll depart for Louisburg to explore a National Historic site. Fortress Louisbourg is an intimate part of the fabric of Nova Scotian history, involving French, English, American, and Mi’kmaq peoples. It has been called the ‘Gibraltar of North America’ and was so expensive to build, that Louis the Fourteenth, of France “expected to see its walls from Paris”! Originally, settled in 1713 by a French expedition relocating from Placentia, Newfoundland, by 1740, Louisbourg's population grew to reach 2500 civilians and 700 garrison personnel. The population was comprised of Bretons, Normans, Basques and other French, along with Germans, Swiss, Irish and Africans, and local Mi’kmaq – quite a medley of cultures! In 1928, Fortress Louisbourg was proclaimed a National Historic Site and in 1961, the Government of Canada began to reconstruct one-fifth of Louisbourg, using the original blueprints to recreate identical building units. Today, it’s the largest fortress re-construction site in North America, with over 25 open buildings for you to explore. During your visit, you will find dozens of costumed animators who portray the residents of 1744. Period costumes and exhibits line the streets and along the busy waterfront. See how the wealthy elite lived, contrasting to the very different life experienced by the poor. We will provide you with a private, one-hour, guided tour of this Fortress, then you will have ample time to explore the unique site on your own. We’ll be dining in Louisbourg, so bring your hunger to one of the 18th-century restaurants. The food is fresh and plentiful, the recipes are from the 18th-century and the atmosphere is New France in the New World! Hotel De la Marine is a busy waterfront tavern and where mariners, soldiers and fishermen would have supped, with only a spoon on the table. Grandchamps is another lively waterfront cabaret or perhaps you would prefer L'Epee Royale, which recreates the atmosphere and menu of a comfortable inn, an upscale eatery where the tavern crowd rarely ventured…and a place where you can show your proper breeding and eat with a full set of cutlery! We’ll return to Baddeck for the evening. Leaving Baddeck, we'll meander our way through spectacular scenery to Bras d' Or Look-off which will allow for amazing views of the Bras d’Or lakes. We’ll continue on to St. Peter's, where we’ll cross St Peter's Canal - an 800m canal linking the Atlantic Ocean with the Bras d'Or Lakes. Work started on this canal in 1854 and was completed in 1869. The canal also boasts the only functioning lock system in Nova Scotia. Once again, we’ll cross the Canso Causeway back onto the mainland and enjoy a scenic drive to the town of Pictou. Located on the beautiful Northumberland Shore of Nova Scotia, Pictou is known as the "Birthplace of New Scotland" as it was here, the first wave of Scottish immigrants landed in 1773. Explore the world class Hector Heritage Quay and board the full-sized Ship Hector replica, search for your ancestral roots, shop for Grohmann Knives or hunt for the perfect souvenir, the choice is yours. 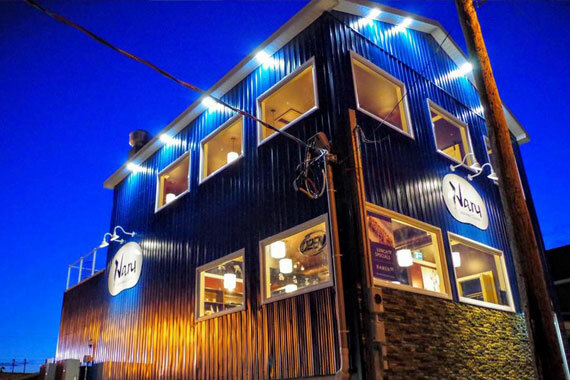 We’ll return to Halifax in time for your evening meal. As with all Blue Diamond Tours, this excursion can be tailored to your interests. You may want to bask on the beach, learn more about Celtic music or tap your toes at the Red Shoe Pub! Contact Blue Diamond Tours to create your next holiday memory.